Dickinson Cameron completes the two story Balenciaga boutique located on Kalakaua Ave at the famous International Market Place, Honolulu, HI. The project, which fronts the main street and entrance, commenced in June and turned over in time to open for Black Friday. DCC worked with Italian based millwork designer, Criveller Company, to complete the unique concrete pebble interior walls. The storefront was fabricated and installed by Aurora Glazing Solutions out of British Columbia. The project Architect was Atmosphere Design Group and the Construction Manager was Tim Eastman from Pacific Construction Services. From the Dickinson Cameron family to yours – we hope you had an amazing year and wish all our partners and colleagues an even better 2019! Lets reach new heights together! Designed by Aria Group, the upscale restaurant made its debut last weekend – the first west coast location for Del Frisco’s Double Eagle Steakhouse. The 16,000 sqft space encompasses two levels. Over 4,000 sqft of which is outdoor patio dining facing the beautiful San Diego bay waterfront. The restaurant is able to accommodate over 450 guests and features a two-story wine room, private dining areas and two full-service bars. Unique design features include custom hand finished chandeliers, fire torches and fireplaces, and ombre colored iridescent wall coverings. Congratulations to our veteran restaurant team, Chris nightingale and Alanna Veach. DCC is proud to partner with a new client, Amazon.com, bringing their 8,200 sqft retail boutique to life. 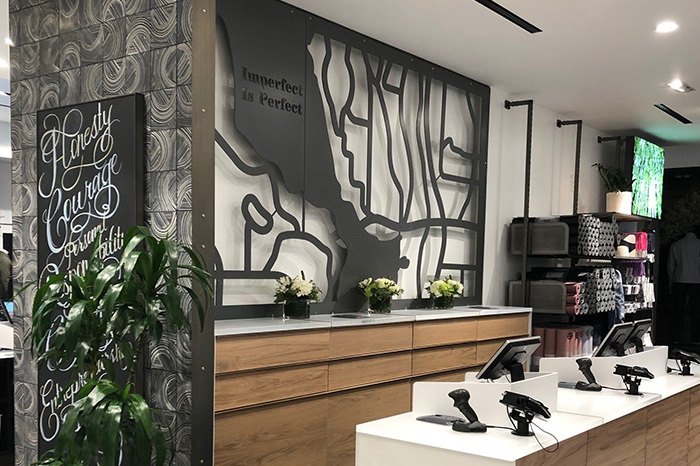 Located at the Waterside shopping center in Marina Del Rey, CA, the store was designed by TPG Architecture and features 4,600 sqft of sales area and a 2,600 back of house storage area. In preparations for Louis Vuittons renovation of the Gump Building, the women’s and men’s temporary space is completed. Designed by Winick Architects and built by DCC in the Royal Hawaiian Shopping Center – this will be DCC’s 6th store at RHSC in 6 years. Construction of Louis Vuitton’s Gump Building project is slated to begin Spring 2019. Dickinson Cameron’s New York Office expands presence on Fifth Avenue with 3 recently awarded projects in the Saks Fifth Avenue flagship store. DCC will be the contractor for Fendi, Prada, and Dior shop-in-shops with openings slated by the end of year. We look forward to working with the talented design teams at Valerio and GRADE Architecture and revealing the final spaces at grand opening. This week, Fendi celebrated the re-opening of its boutique at the Ala Moana Center in Honolulu, Hawaii. 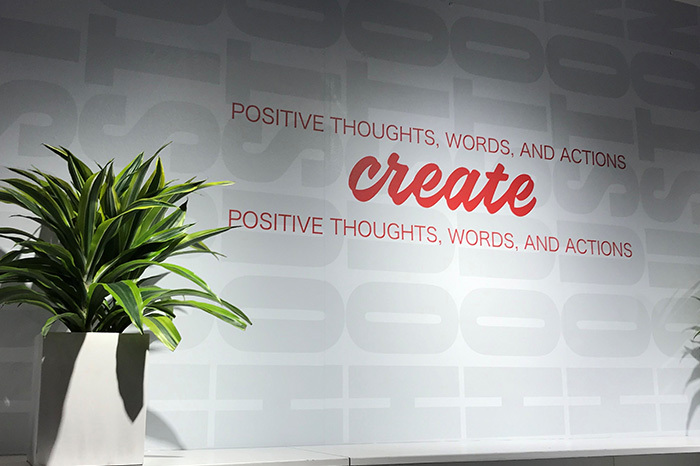 Completely renovated, DCC is proud to have partnered a 5th time with the iconic brand to deliver this beautiful space. DCC is currently under construction on two more Fendi stores located in New York’s Hudson Yards development and Saks Fifth Avenue. We look forward to those reveals later this year. Our 4th restaurant for Eureka! located in Cerritos, CA has officially opened. The 3,646 sqft space features 934 sqft of patio dining and an indoor/outdoor bar area. Outdoor fireplace, paneled bar soffit and walls, hexagon wall tiles and floor decals, fabric shaded trellis’ all add to the ambiance customers have come to love. Congratulations to the team for completion of another great project, Chris Nightingale and Alanna Veach. 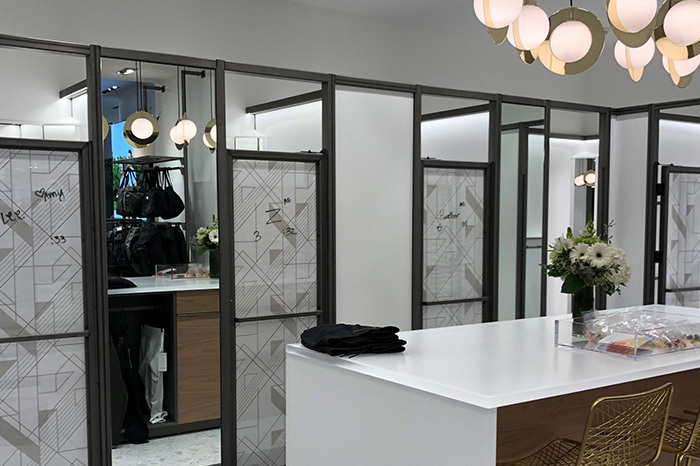 Classic design elements has inspired the new store concept by beautifully incorporating clipped stone tile floors, paneled wall details, flutted columns, and bronze accents. 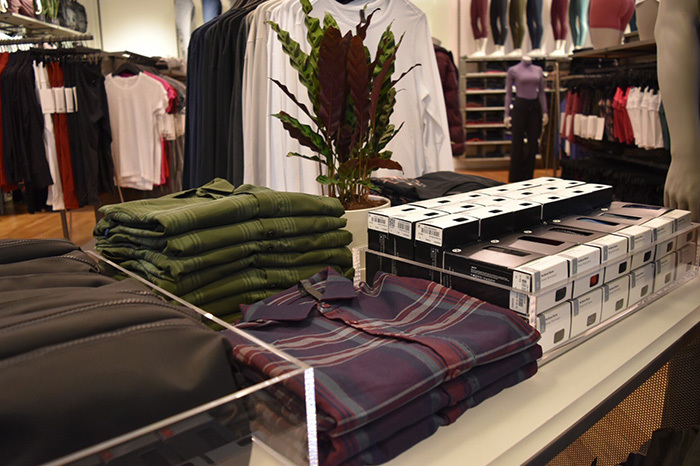 The Stanford Shopping Center store opened on earlier this week to customers and is approximately 6,000 sqft. This is the 14th Burberry store built by DCC since completing the Beverly Hills flagship in 2014.